Hello everyone, it’s been a while, but let us take a brief moment during the holiday season to consider those less fortunate; the denizens of the far future. As a general rule the 40k galaxy is an oppressive and turbulent place, not given to the concept of relaxation or merry-making. 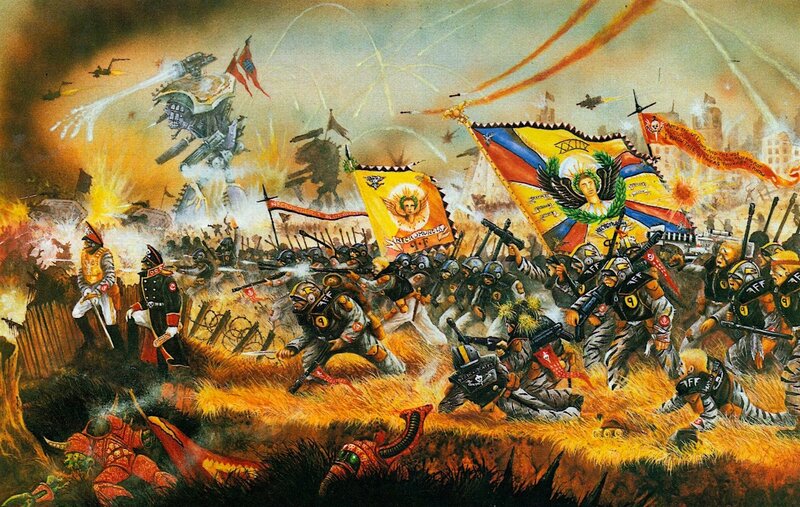 Nevertheless, the Imperium is a broad domain and despite that infamous assertion to the contrary, there are areas and periods not plagued by war where our fellow men and women celebrate a whole range of things in one form or another. Who can say how the various Xenos celebrate their traditions, to many the concept of an organized holiday would be foreign to their very nature, the Eldar certainly venerate the various events of their mythic traditions, most notably with the Harlequin’s reenactment of the Fall. Regardless, the variety of celebrations within humanity in the Imperium is more than enough for consideration. Within the Imperium celebrations tend to be quite regional in nature, honoring or commemorating persons or events that have particular significance to the region in question, such as the founding of the first human colony on the planet or in the sector, or the birth/death of a saint with specific relevance to the area in question. These tend to be very elaborate and complex affairs, rife with ostentatious display and ceremony, particularly when they are held under the auspices of the Ministorum as indeed most are. One perfect example of this is the sacred Mass of Saint Balronas celebrated on Hydraphur. Balronas was a figure in Imperial history who is noted for having ended the dominion of an apostate government over that mighty lynchpin system and establishing the current political structure of the system to prevent any such occurrence in the future. This celebration is a particularly elaborate one, taking place over many days each with its own particular ceremonies, and culminating in a system wide mass and time of feasting. It serves at every turn to reinforce class and departmental distinctions within the Imperium as well, each such division having its own prescribed method, day, time, and task in the celebration. Furthermore, many of these ceremonies revolve around the master-servant relationship, underlings encouraged to demonstrate their appreciation for their masters and place in the God-Emperor’s great realm that exists for them, and masters encouraged to reward good service with small boons, favors, and period of rest which they grant out of their beneficence on behalf of the Saint and the God-Emperor. Alongside the main celebration individual Imperial branches such as the Navy and the Administratum venerate specific events or personages who hold significance to them in their own unique ways. At other times the Imperium may celebrate and commemorate specific achievements in recent history such as a great victory. Consider the great Thracian Triumph (albeit in the end disastrous), to herald successful quelling of the Scarus Sector uprisings. Taking the form of a miles long parade hundreds of thousands strong through the center of Thracian Primus, and observed directly by billions and indirectly by tens of billions more by pict caster. 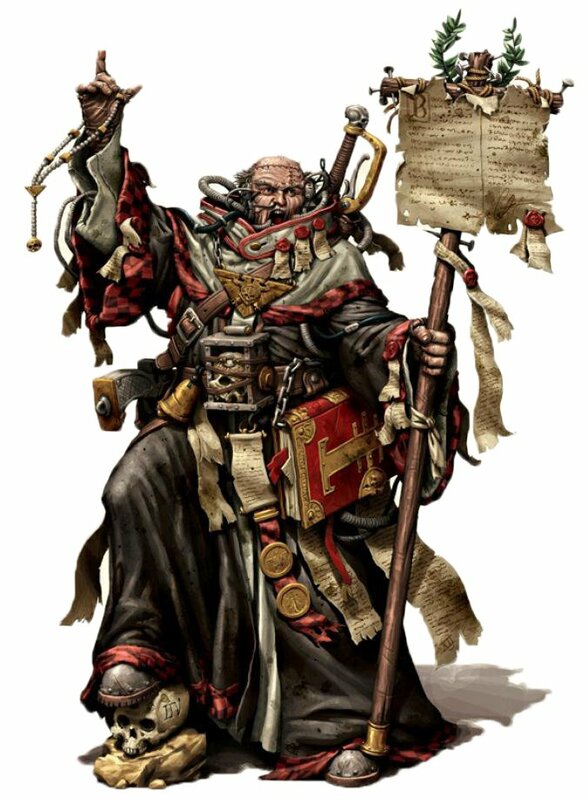 Titan maniples and several hundred Astartes marched alongside uncounted numbers of triumphant guard regiments, Ecclesiarchal contingents, and even several hundred Inquisitors. Weather patterns were manipulated to ensure that the hive was cleansed by rain, and that the sky was clear on the great day itself. All of this was a commemoration of the putting down of a “mere” sub-sector uprising. Such celebrations are designed to ensure that Imperial citizenry are in awe of the might and power of the Imperial war machine and to reassure them with the inevitability of Imperial victory. To this end, painstaking care is taken with such events to generate awe and an image of unassailable grandeur to those who view it. Certain holidays are universal within the Imperium, such as Candlemas which marks the end of the year, the Day of Ascension marking the Emperor’s enthronement upon the Golden Throne and ascent to godhood, and Emperor’s Day which heralds the new year and celebrates the Emperor’s benevolence and divinity. Though the exact method in which these are celebrated differs, they are among the few holidays unanimously celebrated. 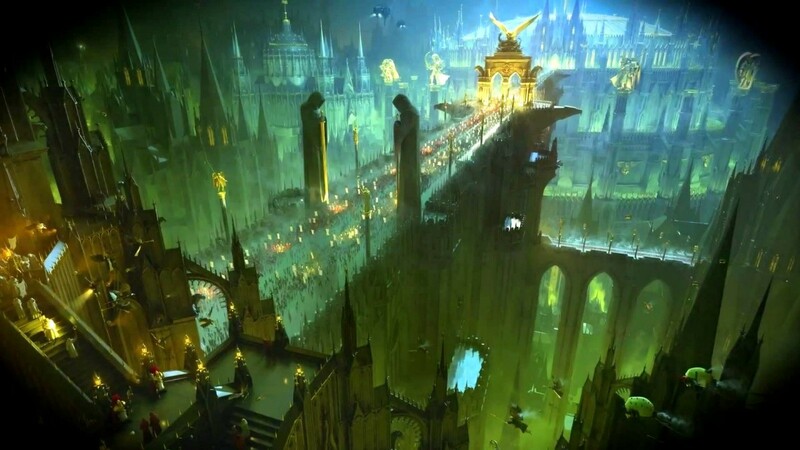 Within the Astartes Chapters it is all but invariably tradition to mark the Chapter’s founding, honor their Primarch and the Emperor, or sometimes commemorate particularly great victories or chapter heroes. Usually these are marked by feasts and ceremonies of the chapter’s cult. The solemnity of such events varies from chapter to chapter, from the grave and Spartan ceremonies of the Ultramarines to the boisterous and sometimes jovially bellicose feasts of the Space Wolves. In summary, for all the variety of holiday celebrations on earth today, the diversity of observance in the grim darkness of the far future render this complexity to nothing.